Students, faculty and members of the community gathered in front of IU South Bend’s Schurz Library on Tuesday, Nov. 5, for a read-in of author and historian Howard Zinn’s work. 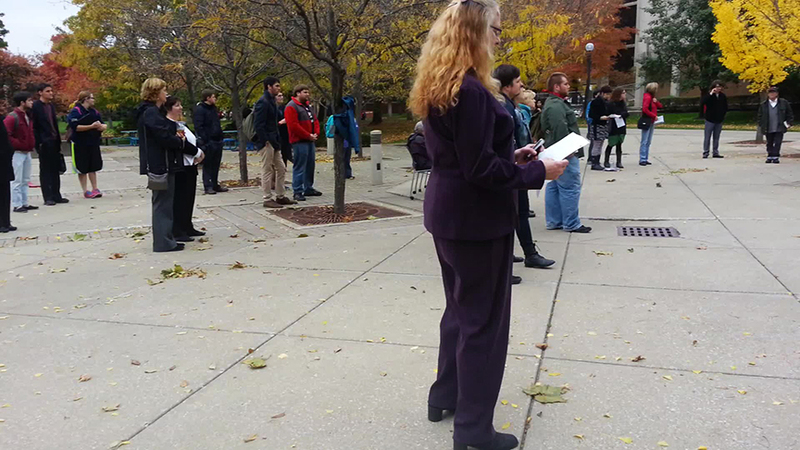 The read-in was organized in response to comments made by former Indiana governor Mitch Daniels, who attempted to ban Zinn’s work in Indiana classrooms. Mishler and Zinn were friends. The two first met when Zinn spoke at Mishler’s high school. They would later work together while Mishler was in college. 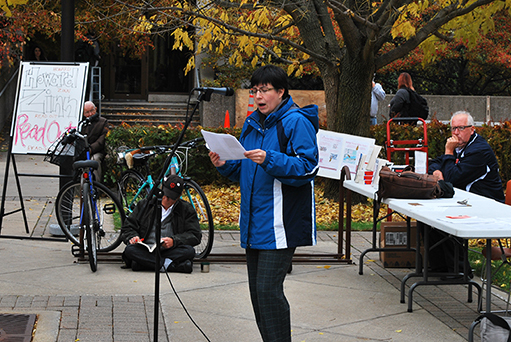 The read-in drew a diverse crowed, with attendees reading and listening throughout the event. Many of those in attendance held strong feelings about Daniel’s attempt to block Zinn’s work from Indiana classrooms. “I think when people in power wanna tell everyone ‘We know what’s best for you, we know what you should learn. We know what you should be taught, and you shouldn’t learn this and you shouldn’t be taught that,’ I think that that in and of itself is enough to make me want to learn and teach the thing,” said Craig Finlay, a librarian at IUSB and a reader at the event. The event functioned as a way to not only oppose Daniels proposed ban, but to also celebrate Zinn’s work.